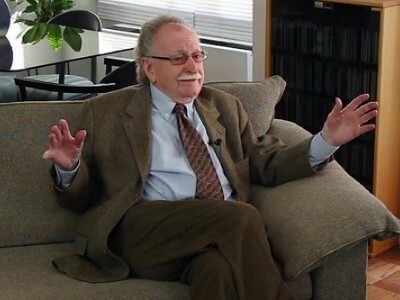 Video, podcast and text transcription of interviews produced by or about Ed Joffe. 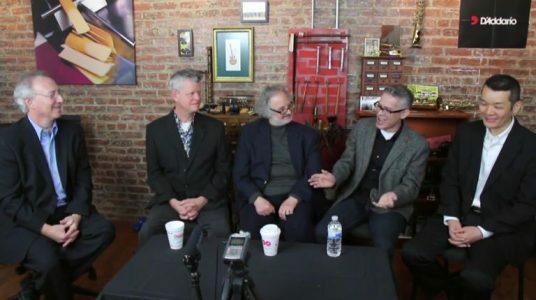 Joffe Woodwinds Podcast 11 features the audio portion of the Woodwind Repairmen Roundtable video, an interview with four expert woodwind repairmen: Mark Jacobi, Bill Singer, Tomoji Hirakata and Tony Salimbene. This entry was posted in Podcasts and tagged Interviews on August 28, 2016 by Ed Joffe. Joffe Woodwinds Podcast 10 features the audio portion of the Reed V Summit video. Ron Jannelli, Roger Rosenberg & Allen Won discuss the world of the players who are the foundation of any woodwind section—whether in a pit band, big band, movie soundtrack, or a symphonic setting. Joffe Woodwinds Podcast 9 features the audio portion of the Broadway Conductors Forum video. Charlie Alterman, David Chase and Constantine Kitsopoulos carry forth their responsibilities with not only great talent and integrity but also create a positive feeling within the orchestra and cast. This interview provides great insight into the conductor’s world. Joffe Woodwinds Podcast 8 features the audio portion of the The Contemporary Oboe Doubler video. Rick Heckman & Dan Willis offers rare insight into the world of the double reed doubler. Rick & Dan discuss the nature of what today’s oboe doublers encounter on the job and offer solutions to performance problems. Joffe Woodwinds Podcast 7 features the audio portion of the Clarinet Fundamentals with Larry Guy video. His sense of elegance in playing and professionalism on the job was gleaned from his years of study with some of the great woodwind/musical minds of the 20th Century—Robert Marcellus, Anthony Gigliotti, Kalmen Opperman, Alan Balter, and Marcel Moyse. Joffe Woodwinds Podcast 6 features the audio portion of the Keith Underwood—Flute Exercises video, in which he provides invaluable information on historical flutes, recordings, exercises and a variety of other topics. 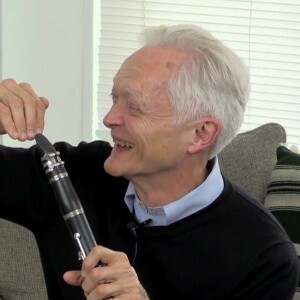 Joffe Woodwinds Podcast 5 features the audio portion of the Keith Underwood—Flute Fundamentals video, in which he shares some of his thoughts on breathing and developing greater resonance in the tone as a result of improving one’s breathing efficiency. Joffe Woodwinds Podcast 4 features the audio portion of the Jerry Dodgion—A Career Retrospective video, an interview with Jerry Dodgion discussing his perspective into woodwind doubling, the music business and life. 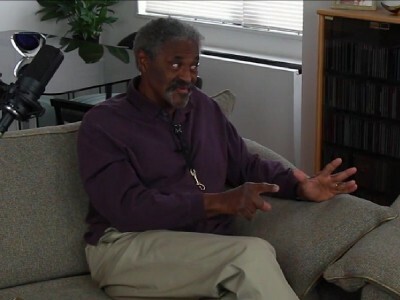 Joffe Woodwinds Podcast 3 features the audio portion of the Charles McPherson on How to Practice Jazz video. Charles McPherson has been a role model to generations of alto saxophonists and is still exploring new avenues of expression within the bebop/post bebop tradition. Joffe Woodwinds Podcast 2 features the audio portion of the Lawrence Feldman on Building a Career video. 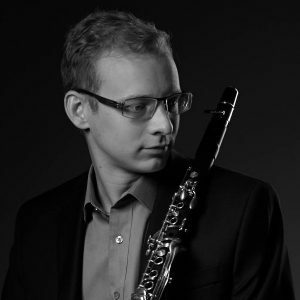 In this interview with Lawrence Feldman—one of the most knowledgeable woodwind players regarding equipment concerning saxophone, clarinet and flute—shares some insights on his career. 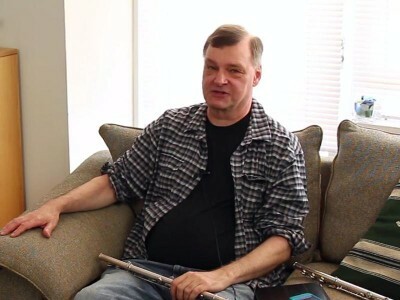 Joffe Woodwinds Podcast 1 features the audio portion of the Lawrence Feldman on Woodwind Styles video, an interview with Lawrence Feldman discussing and demonstrating his rare ability to imitate diverse musical styles on all of his woodwinds with great accuracy. This entry was posted in Videos and tagged Interviews, Woodwind Legacy Series on June 12, 2016 by Ed Joffe. This video is a behind-the-scenes look into the world of the players who are the foundation of any full reed section—whether in a pit band, big band, movie soundtrack, or a symphonic setting. The low reeds set the pitch center and help determine the overall volume, balance and rhythmical stability of any woodwind ensemble. The players of this “chair” also must have the type of personality that allows them to be flexible when working with lead players of a woodwind section in order to mimic their pitch, phrasing and rhythmic feeling. These are three of the best artists at all of these responsibilities that I have met in my career. This video allows the viewer to understand the levels of excellence and versatility that Reed V players must demonstrate on the baritone saxophone, bassoon and bass clarinet—the instruments that orchestrators tend to emphasize when writing for Reed V.
This entry was posted in Videos and tagged Interviews, Woodwind Legacy Series on April 8, 2016 by Ed Joffe. This entry was posted in Videos and tagged Interviews on February 23, 2016 by Ed Joffe. This entry was posted in Videos and tagged Interviews, Woodwind Legacy Series on December 11, 2015 by Ed Joffe. This entry was posted in Videos and tagged Interviews, Woodwind Legacy Series on November 5, 2015 by Ed Joffe. Also available as a podcast. 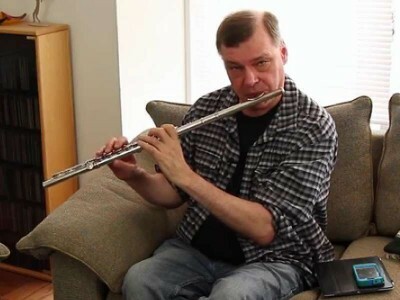 In this video segment, Keith Underwood provides invaluable information on historical flutes, recordings, exercises and a variety of other topics. He plays several of his historical instruments, including flutes previously owned by Tom Nyfenger and Albert Tipton. He also references recordings/videos by some of his favorite players (Rampal, Baker, Kincaid, Nyfenger, Glenn Gould) as a means for improving one’s musicality. Keith’s demonstrations of these players and their techniques will serve as an endless source of inspiration. Finally, his explanations of his breathing technique and breathing exercises are brilliant and should be seriously studied by all wind players. This entry was posted in Videos and tagged Interviews, Woodwind Legacy Series on June 3, 2015 by Ed Joffe. This entry was posted in Videos and tagged Interviews, Woodwind Legacy Series on January 30, 2015 by Ed Joffe. This entry was posted in Videos and tagged Interviews, Woodwind Legacy Series on December 12, 2014 by Ed Joffe. This entry was posted in About Ed and tagged Interviews on July 13, 2014 by Ed Joffe. A discussion of the similarities in preparing for performance in both music and sports and how they are mutually beneficial. Doug Doyle interviews Ed Joffe in this podcast originally aired on WBGO FM Radio. This entry was posted in About Ed and tagged Interviews on June 3, 2014 by Ed Joffe.